Time is money for any business. When it comes to maintenance tasks, be as efficient as possible to keep your premises in clean and working order without over-spending hours and labor that could be better used somewhere else. An important part of maintenance for commercial properties is keeping the floors spotless on a daily basis. This is essential to keeping your facility safe and welcoming for both employees and customers. 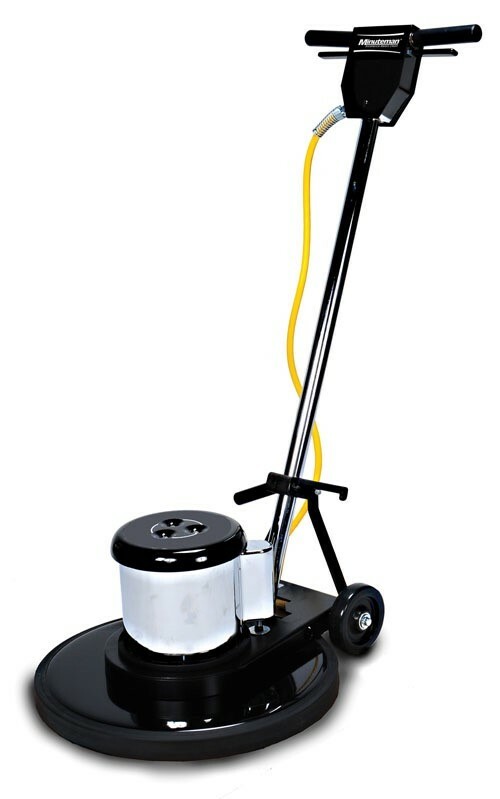 Look into commercial floor cleaning machines to save money, time, and manpower. Many commercial establishments still go the old route of mopping floors to keep them clean. However, this method is bound to leave dirt, grime, and bacteria behind. It can also leave your floors dangerously slippery and damp no matter how much your custodial team tries to wring out those mops. In addition, keep in mind that mopping large floor areas are incredibly labor intensive, expensive when it comes to labor hours, and difficult for a maintenance team to do by hand. In contrast, utilizing a commercial floor scrubber in place of mops can drastically improve the way you clean your floors. If you had to employ a whole custodial team before just to maintain your floors, a commercial floor scrubber will make it possible for just one person to cover a lot of ground in much less time. This frees up other members of your maintenance team to work on tasks somewhere else. Furthermore, commercial floor cleaning machines are expertly engineered for consistently high-quality cleaning. There are different types to fit your business needs. For instance, need to reach narrow areas such as ramps, inclines, and stairs? A walk-behind floor scrubber is your perfect choice for the job. These machines will leave your floors completely dry, eliminating or reducing the probability of people slipping and falling on wet floors. The floors of your commercial establishment will be dryer and cleaner, in less time than ever before. The fact is that commercial floor scrubbers are great news for your bottomline. You can reduce your maintenance team or assign them elsewhere to boost your efficiency. Clean and dry floors keep your customers safe and happy, allowing you to concentrate on providing the best services and products for them.